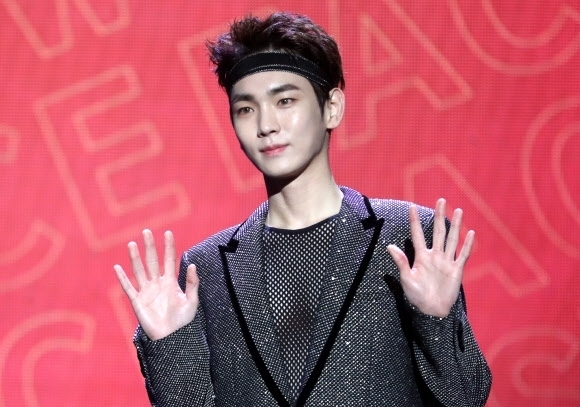 Popular K-pop boy band SHINee's member Key will begin the mandatory 21-month military service in early March as a member of the military band, his management agency SM Entertainment said Friday. The 28-year-old, whose real name is Kim Ki-bum, "will join the military on March 4, having recently got admitted into the military band," according to SM. The boy band debuted in 2008 while the members were in their late teens and achieved wild success at home and overseas with a series of hit songs, such as "Ring Ding Dong" and "Lucifer." In November last year, Key released his first solo album, "FACE," after briskly expanding his career into film and TV shows.